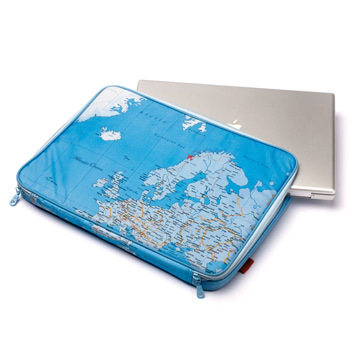 Map Laptop Case. Original cover for your laptop so you can carry on your travels. In addition you'll always know where you are. Cover your laptop ordador made ? ?of nylon and PVC. People will think you're going on tour in Europe and not to bring a laptop. Cases available for notebooks up to 13 "and 15".